Operating in Chicago, Smash Properties now offers a revolutionary Chicago neighborhood real estate search feature on the site, enabling future homeowners and renters to browse properties by area. 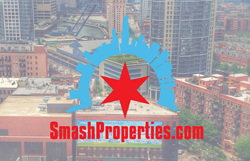 Operating in Chicago, SmashProperties.com now offers a revolutionary neighborhood search feature on the site, enabling future homeowners and renters to browse properties by area. In order to access this new feature, visit the Smash Properties homepage at SmashProperties.com and scroll down to the heading titled, ‘Search Properties by Neighborhood’. The most searched neighborhoods, such as River North Condos, can be accessed by a designated icon. Additional neighborhoods can be found via the blue ‘View All Neighborhoods’ button, which leads to the neighborhoods landing page. From here, users can review neighborhoods at a glance before making a selection. Dive into greater detail by clicking on a neighborhood. Selecting Old Town Condos, for instance, yields an overview of the neighborhood culture, mentioning “historical charm” and “Victorian-era buildings,” next to real estate statistics, followed by all of the available condos and single-family homes in Old Town. The design is exceedingly simple and user friendly. Intuitive navigation pairs with clear, concise and highly relevant information, making for a quality experience. RJ Yozwiak and James DeMarco had a vision, to simplify the search, and SmashProperties.com delivers. RJ Yozwiak and James DeMarco are licensed brokers of Berkshire Hathaway HomeServices KoenigRubloff Realty Group. Berkshire Hathaway HomeServices KoenigRubloff Realty Group is a full-service real estate firm with nearly 1,500 real estate professionals and staff in 23 offices serving customers throughout the Chicago metropolitan area, the North Shore, Western Suburban communities, and Harbor Country, Michigan. Deep local roots are complemented by the extensive global reach of Berkshire Hathaway HomeServices, the top real estate brand in the nation. Affiliated and ancillary services in the form of HomeServices Lending, Fort Dearborn Title, and Fort Dearborn Insurance complete the comprehensive services offered to clients.